I was interviewed today about why Kennon is in Sheridan . It’s simple, business owners decide where they want to live and figure out how to live there. Questions? This month Sikorsky was awarded a $4.4 million contract to integrate a lightweight cabin interior into the Marine Corps’ fleet of presidential helicopters. For example, the VH-3D (Marine One the President’s Helicopter) is reaching maximum mission weight. There are plans to acquire a new presidential helicopter, but until then, there’s a need to reduce weight. I know how hard it is to reduce weight, I digress. I can’t think of anything more exciting than designing a new interior for the President of the United States’ Helicopter. Who knows. Could we be the ones? Every bit of weight saving counts, not only on Marine One, but on all military aircraft. Aircraft can only carry so much weight. There is a need to reduce the weight of the aircraft itself so that it can carry more fuel, and more precious cargo, including troops and troop support. Aside from the President’s ride, most military aircraft are still using quilted insulating blankets. Quilted blankets are heavy compared to the Kennon Cabin Liner. They absorb some sound but have been removed from many aircraft because they also absorb fluids and, in at least one case, sea-water during an unexpected water ditching. You don’t want to get tangled up in wet blankets when you’re trying to exit a ditched aircraft quickly. We’ve been working on a cabin liner for the V-22 Osprey, not unlike what we believe is being sought by Sikorsky. Our development effort was originally funded by a Small Business Innovation Research (SBIR) grant from NAVAIR (Navy Aviation.) We were to develop a Repositionable clamp to hold insulation in place, which we did. Our engineers took it a couple of steps further and, with additional SBIR funding, developed a cabin liner concept as well as a ballistic protection feature that could be incorporated inside of the liner. In other words, a complete system. 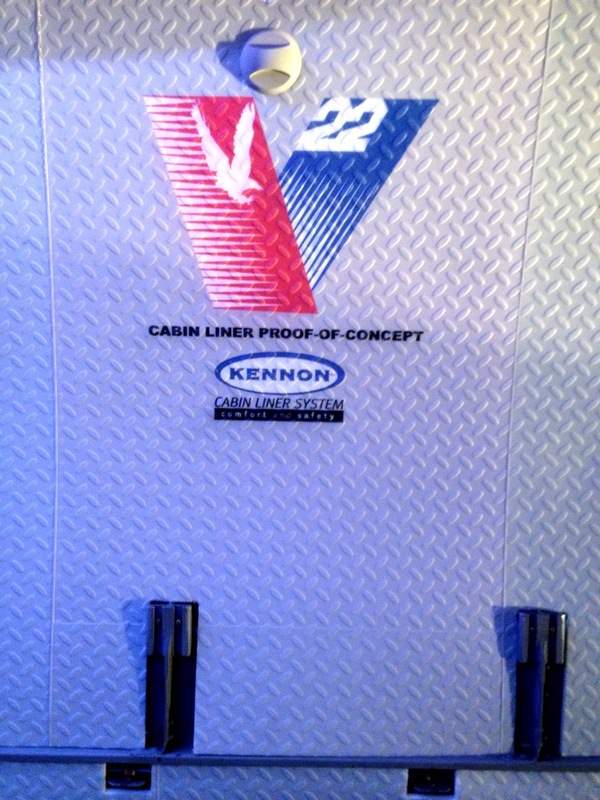 The fine folks at Boeing contracted with Kennon to build a proof-of-concept liner for their V-22 mobile demo unit. I’ll keep you up to date. 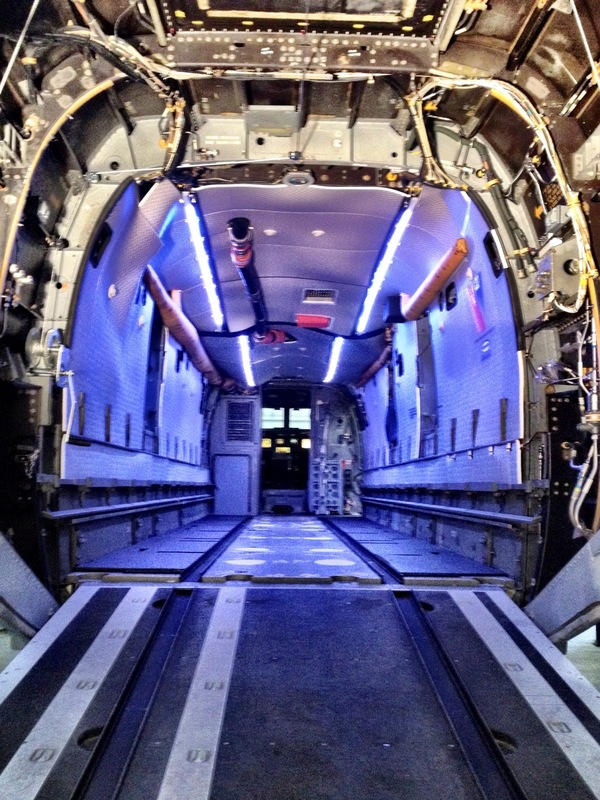 Kennon developed a proof of concept cabin liner for the V-22 Aircraft. It’s lightweight, provides better thermal and acoustic insulation and installs in very little time. Kennon’s Cabin Liner is fire resistant, non-absorbent and buoyant. Kennon’s proof of concept for the V-22 effort was funded under a contract with Boeing. 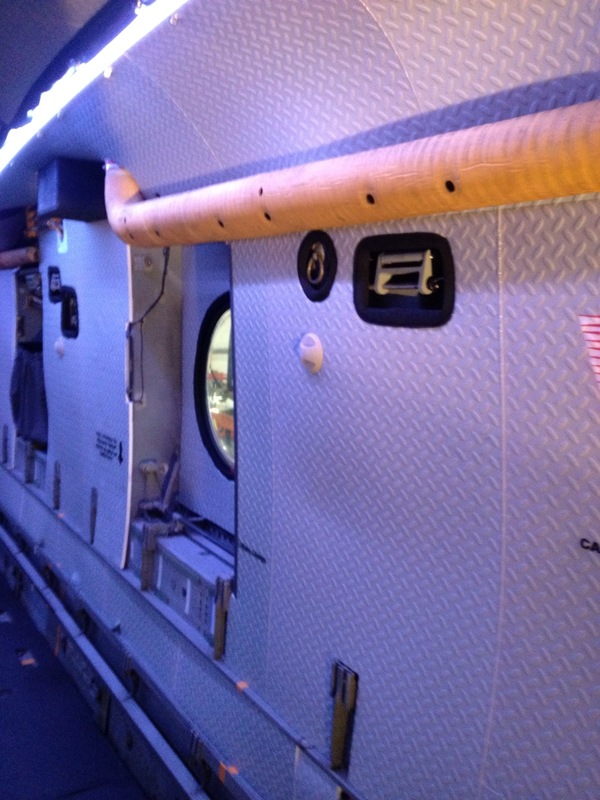 The Kennon Cabin Liner is a part of Bell Boeing’s Traveling V-22 Osprey Road Show demo.